“What row are we again, hun?” I asked my husband as we stepped onto the airport tarmac leading us towards a massive United Airlines Boeing 757. “Uhh, I think Row 19…..seats A through E,” my husband responded and chuckled as he checked all five of our boarding passes. We were in for a long nine-hour flight. Non-stop service from Newark, New Jersey to Barcelona, Spain. As we found our seats, shoved carry-ons into overheads and got situated I felt a strange and familiar feeling come over me. Deja-vu really does exist! Exactly one year ago (down to the minute!) we were boarding the same flight at the same time on the same day. Except one year ago, it was our very first time as a family moving to our new home in Spain. As the flight attendant started reciting her usual safety speech, I closed my eyes and laid my head back. One whole year. 365 days later. Holiday seasons come and gone, an entire school year now a thing of the past. Wow. Each of us a year older…the kids definitely a few inches taller – but were we really any wiser? Still the same people – football-loving, Starbucks-sipping, stars and stripes waving American family. But…different at the same time. Slightly more city-savvy? I’d say so. Dare I say, bi-lingual? Not quite but getting there! A tad less stressed (thanks to the Spanish influence of course)? Absolutely! As I sat there reflecting, the aircraft pulled away from the gate and began heading towards the runway. Suddenly my eyes stung with tears. A lump grew in my throat. I thought about life and how much ours had changed. I glanced over at my three children fiddling with their meal trays and buckling seat belts. They had become awesome little travelers. In just one year they had seen more of the world than Tony or I did in most of our lives! As our plane sped down the runway and slowly ascended into the air, I glanced out the window. Got one last glimpse of American soil before it disappeared into the clouds. It really comes down to the journey, doesn’t it? The past year has brought about laughter, tears, joys and fears. Adventure, excitement and the unknown. The lessons I personally have learned along the way are ingrained in the canvas of who I am…forever. I guess picking up, leaving home and living on the other side of the globe will do that to a person. And it certainly did it to our family. But these lessons aren’t just about ME. Or us. They’re for anyone who’s ever challenged the norm. Who’s ever done anything outside their comfort zone. Made a mistake and later laughed hysterically about it. Stretched themselves when there was nothing left to stretch. Stepped out where there were no more stones to step on. 1. I’ve learned the world is your home. It’s true what they say – home is wherever your heart is. And experiencing this move together as a family has taught us that. When life happens (and happen it WILL), where you are will matter less than who you are with. Where we least expected it, our family started experiencing milestones and “firsts”. Baby London learned to climb her first flight of stairs in Bellagio, Italy. She also slept in a bed for the first time on that trip. 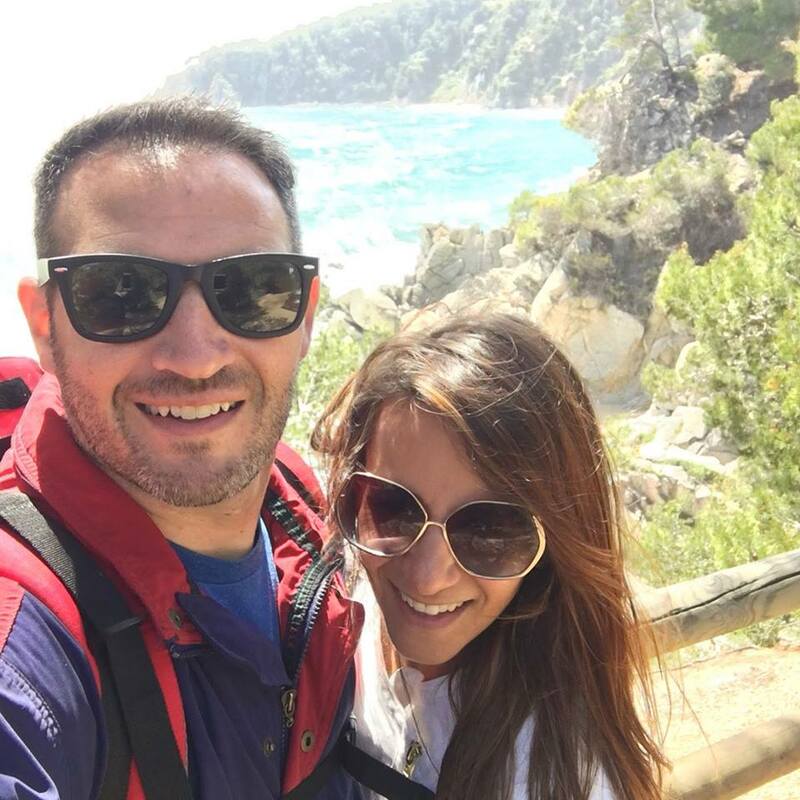 Our son Anthony lost his front baby tooth in the Barcelona Airport lounge and began learning to play chess during our camping trip to Tossa de Mar in Catalonia. 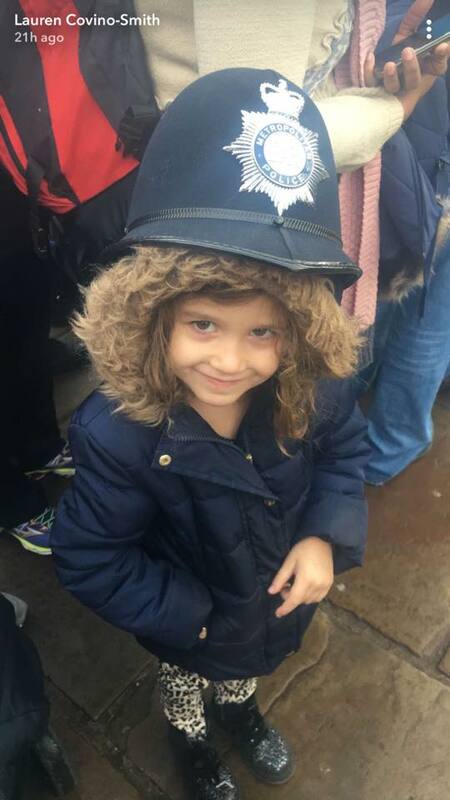 Our daughter Autumn, she had her first run-in with the cops in London at Buckingham Palace – proud parents we are! (Yes, a joke guys! – although one officer at the Changing of the Guards ceremony picked Autumn out of a crowd to wear his helmet). the kids also rode their first double-decker bus on that trip to London. Finally, they saw their first sunset during a trip to Rupit, Spain. The point is, we have a tendency to view the world as a scary, unsafe and cold place. Don’t get me wrong, it certainly can be. But it’s also important to realize that as we step out and experience more of the world has to offer, we end up leaving pieces of our story behind – who we are. The world itself becomes our home. Let’s pray this was her first and LAST time! 2. I learned that I LOVE city living. My whole life I’ve always thought of living in a big city. Just never imagined doing it in a foreign city with a husband and three young children! God has a real sense of humor doesn’t He?! Something about the buzz of traffic late at night that lulls me to sleep. The clanking sound of dishes and silverware on every street corner as hungry diners enjoy a meal and a toast together. The neon lights from store fronts and balcony windows beckoning visitors. In minutes you can transform your surroundings from Gothic quarters downtown to modern glam uptown. It all gives me such a thrill, an incredible energy. This city is ALIVE and living in it has awaken a part of me I’ve always dreamed of. 3. I’ve learned to trust in my spouse. I’ve always trusted Tony – to buy the right kind of bread at the store, to pay the cell phone bill on time, to mow the lawn if the grass got too high. But start a new life in another country?! This was the ultimate test of our marriage and my trust for him. Yes it was a decision we made together, but he was the one with way more professional knowledge and background in this area. His experience is what reassured me when questions like, “Will our precious family keepsakes end up at the bottom of the ocean in transport? !” It took a lot of letting go on my end and putting complete faith that he would guide us in the right direction during this journey. The day I married him, he’s never led me astray. And this time around has been no different. Trust. 4. I’ve learned you are stronger than you think. Everyday I am pushed and challenged here in a new way. Sometimes the challenge is brought on by myself, sometimes by the outside. I strive to make the most out of every day here so that when our time in Barcelona has come to an end, we took everything possible from the experience. And so, I choose a Spanish menu over an English menu at most restaurants. I force myself to get comfortable with the subway system, which is much trickier than the buses I’ve come to rely on. I choose walking when possible over catching mass transit. Why? So I don’t spend my time in Barcelona on the outside looking in. The benefits and rewards that come from adopting new norms has been great! When you push yourself and get over the mental “noise” that holds so many people back, it’s amazing the clarity and confidence it brings! 5. I’ve learned no one is defined by just one thing. Wife. Mother. Business Owner. Writer. Titles define us – but man, do they limit us too. When we first moved here, I tried to carbon copy myself. Be who I always was back home. I lost my way for a while. So many things were different here. Then my husband said one day, as he could sense my frustration, “Now is the perfect opportunity to see what else is out there for you, Laur.” He was right. Of course by definition I was still a wife and a mom. But what else was I capable of? What else was I interested in, inspired by even? This blog is a great example of opening my eyes to something I never would have considered had we not taken this crazy adventure. So I guess you could say I began to redefine myself, but haven’t lost any part of who I’ve always been. 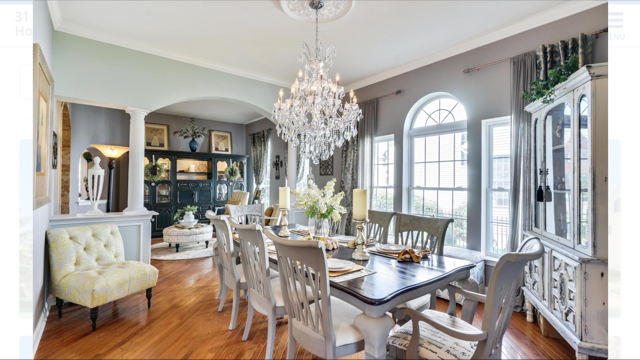 I love this picture of the dining room at our old house. were always a passion of mine and haven’t been easy to recreate here in Spain. 6. I’ve learned to never take things for granted. 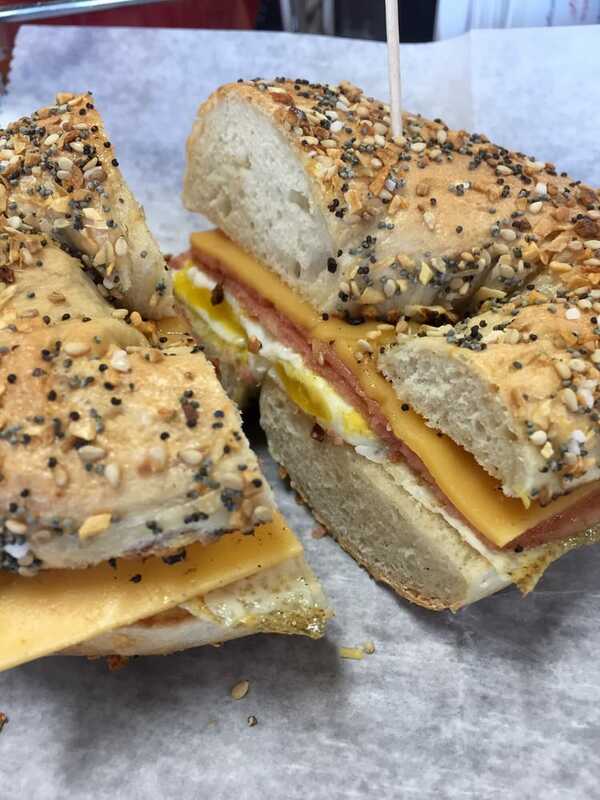 Reuniting with family and friends, picking right up where we left off, enjoying the familiar foods we miss (like pork roll egg and cheese on an everything bagel, ahhh), dipping our toes in the Atlantic Ocean, and even (may I get sappy for a moment?) seeing our flag with the words “Welcome to the United States of America” written underneath while crossing through U.S. Airport Customs. It’s amazing what you look forward to when returning home. Familiar smells, sounds, faces – all gentle reminders of where we’ve been and how far we’ve come. I’m not sure we valued these same things as much while living there. Things we all take for granted over time. So saying goodbye to our beloved home, as difficult as it was and continues to be, also gave us an incredible gift. The gift of appreciation and the comfort in knowing, those things will always be waiting for us. Anyone from Jersey knows this photo requires no caption! 7. I’ve learned to take chances and leave no room for regrets. Tony used to tell me about co-workers who moved their families abroad for his/her job. I always enjoyed hearing about their story, but never thought that one day we would be writing our own. 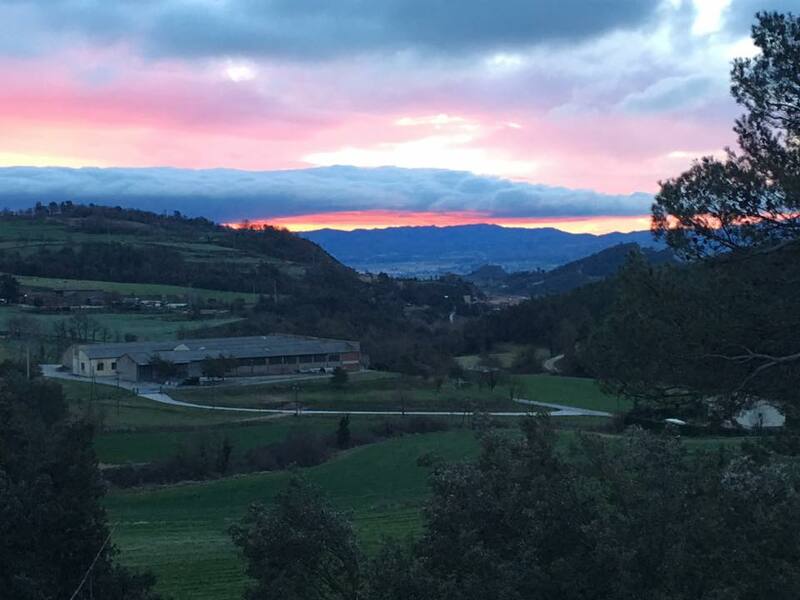 My first blog post on The Expat Chronicle talked about our decision to relocate and how many concerns I had – but also the sheer excitement. One minute worried sick, the next day-dreaming of our new life. So many ups and downs, highs and lows on that emotional merry-go-round. But rather than let the fear drive our decision, I allowed a different underlying thought to. And so as we enter a new school season and the second year of our life here, I take with me these lessons. I’m grateful for all them. I pray they inspire you to be the flower that pushes through the soil. And most of all, I welcome the lessons in our days ahead that have yet to be learned. Being an expat can sometimes feel like a transient mode, but it’s amazing how much you learn about yourself! It takes bravery to step out of comfort and routine, but it is certainly worth it.